Well, it wasn’t the most exciting race, but after Baku, it was always likely to be less so – especially when the promised rain failed to arrive! Ah, Austria, with its beautiful scenery. The undulating track at Red Bull Ring provided a fabulous backdrop for the race weekend, and of course, we’d expected some traditional attire to come out of the closet. The Toro Rosso and Red Bull drivers all took it all in their stride and played along at their team’s home circuit. 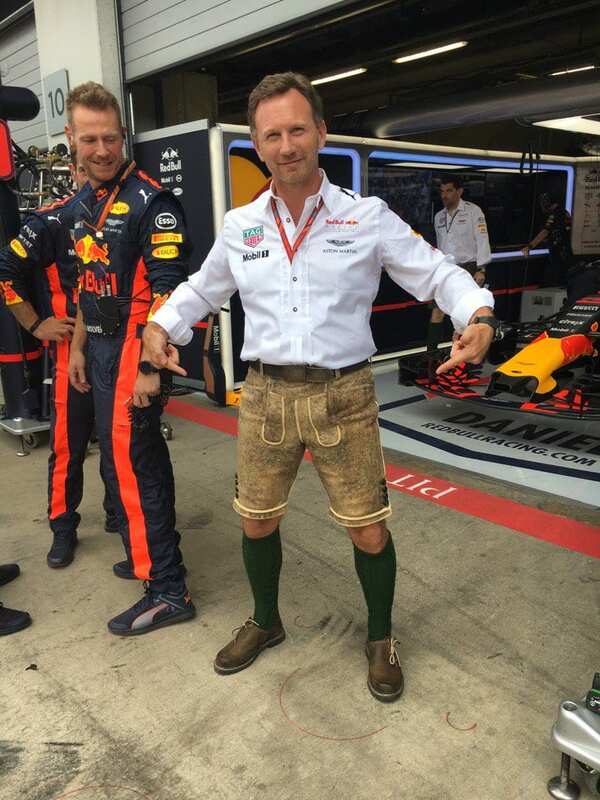 They certainly pulled off the look a little better than their team principals did and of course, for a much shorter time as they were swiftly into their racesuits, whilst Franz Tost, Christian Horner and Helmut Marko remained traditionally attired! I’m sure the Dutch lion that we see at so many races, @LegoMax33, and the other #GoMax Verstappen fans will be hoping for that too. It was lights out, and away we went…but did the driver on pole get away sooner than he should have? Certainly, Daniel Ricciardo initially thought so, as he mentioned it over team radio at the time. 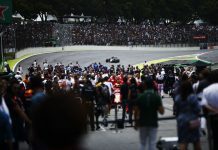 There were many replays and the usual trial by social media, but after an investigation from the stewards, Valtteri Bottas’s 0.201 reaction time was found to be a start within the tolerances of what is permitted. That didn’t stop a little bit of audible banter in the podium room, and although it was all smiles between the three drivers, Seb was still questioning the numbers in the post-race press conference. You can watch that here, and make your own mind up. Sometimes, drivers get great starts and drivers make up many places, leaping others who’ve not been so lucky. Today was one such day for Fernando Alonso, but he didn’t get to make use of that gain, through no fault of his own. We saw Max Verstappen slow to move, and we now know from him post race interviews that he had a clutch issue, and the anti-stall kicked in. Fernando took off down the outside, gaining places and passing a near-stationary Carlos Sainz, and must have almost momentarily high-fived himself when he saw Daniil Kvyat in his mirror, just ahead of him making contact. Kvyat hits Alonso, Alonso hits Verstappen, and we all watch the carbon fly. 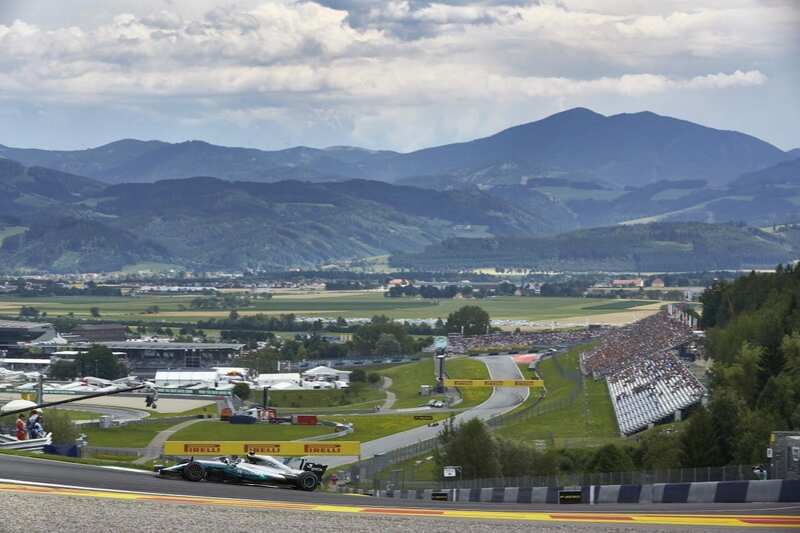 Today’s win by Valtteri Bottas in relation to the finishing places of both Sebastian Vettel and Lewis Hamilton leaves us with an interesting and exciting situation in the driver’s championship, with all three in contention. It’s what all fans have been saying they wanted in F1 – a fight in the championship with no one driver running away with it. Up until today, we’d probably all assumed it was a straight Lewis versus Seb run-in, despite knowing that Bottas is certainly a talent. Looking at the scores on the doors post-Austria, it’s clear to see that things could get very interesting in the next few races. I don’t know about you, but I can’t wait to see how that will unfold! Next up, it’s the British Grand Prix, and whilst there’s much talk of Silverstone being about to activate the the break clause to cease holding the race after 2019, that is equally matched by efforts from F1’s new owners to engage more with the fans and verbally committing to keep the race. 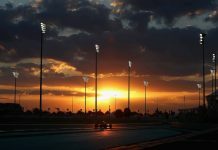 We shall watch how that develops, but one thing is for certain – Lewis Hamilton will be hoping to build on the boost that he gets from being in front of the home crowd at a circuit he loves. And that means we will have a race on our hands!